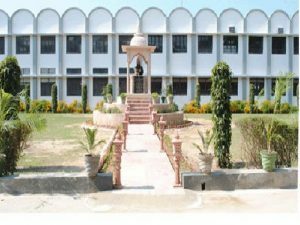 Raja Balwant Singh College, Agra formerly known as Balwant Rajput College, is known for its phenomenal epoch making progress. This institution started as a small boarding house for 20 students, way back in 1885 in the out house of “The Kotla House” in Bagh Farzana area of Civil Line Agra. The credit for the same goes to Raja Balwant Singh of Awagarh, the founder, to get the Boarding House recognised as High school in 1899, from where the first batch of students appeared at the Matriculation examination of Allahabad University in 1901.The High School was raised to level of an Intermediate College in 1928 and to that of a degree college in 1940. Placements: Carrier planning and counseling is done through a placement cell headed by the Director of the Faculty along with well qualified and dynamic placement officers. The cell acts as a channel of communication between prospective employer I organizations and students. Details of engineering graduates and management and software professional are supplied to the organizations interested in campus recruitment and providing job opportunities to the students. Campus: Raja Balwant Singh College, Agra formerly known as Balwant Rajput College, is known for its phenomenal epoch making progress. This institution started as a small boarding house for 20 students, way back in 1885 in the out house of “The Kotla House” in Bagh Farzana area of Civil Line Agra. The credit for the same goes to Raja Balwant Singh of Awagarh, the founder, to get the Boarding House recognised as High school in 1899, from where the first batch of students appeared at the Matriculation examination of Allahabad University in 1901.The High School was raised to level of an Intermediate College in 1928 and to that of a degree college in 1940. With the commencement of degree classes in 1940, the institution was recognized to establish two separate institutions, The B.R. High School and The B.R. College. In 1966, the Intermediate classes running in the degree college campus were merged with the High School making it an intermediate college. The Faculty of Engineering &Tecnology was started in the year 1996 with three branches of Engineering, viz.,Computer Science and Engineering , Electronic & Communication Engineering and Food Technology. Chemical Engineering branch was added in the year1999. In 2004 two more branches Machnical Engineering , Bio-Technology where started. In 2006, M-Tech(Food Technology) was started. These courses are approved by A.I.C.T.E and affiliated to M.M.T.U(formerly U.P.T.U Lucknow). FET, RBS aims to be a world class knowledge provider in coming future. This strictly demands for world class infrastructure, modern class rooms, up to date laboratories equipped with modern equipments, an excellent library and information system, highly qualified and motivated faculty, mutual interaction with the industries and professional societies and much more. Foots have already been forwarded to create an environment which fulfills the needs and desire of the FETians for the purpose. Central library: The College has two central libraries, one in the Bichpuri Campus called “Jawahar Library” and the other at Agra Campus called “Raja Surya Pal Singh Library”. Both these libraries are having about 2 lakhs of books. Students and staff of Faculty of Engineering & Technology and Faculty of Management & Computer Application can avail the facilities of these Central libraries also. Both the central libraries contribute for more than 250 journals of various fields. Besides these Central libraries, the college has a well-equipped air-conditioned digital library catering to the needs of staff and students of Faculty of Engineering & Technology. This Faculty library has thirteen thousand (13,000) books. The books are issued to the students for a specific period. If the books are not returned in time, fine is charged as per rules of the library. Books are also available in Reference section. These books are not issued but are available to be used in the reading room of the library. Various journals of technology and sciences are also available to be consulted inside the library. This library contributes for fifty-seven journals including eleven foreign journals and twenty-two magazines. Hostel: Four hostels for boys at the Bichpuri Campus and one hostels at Agra Main Campus of R.B.S. College are available for students of B.Tech. and M.Tech.. These hostels can accommodate one thousand students. One hostel for girls at Bichpuri Campus and one at Agra Main Campus of R.B.S College are also available. These hostels can accommodate two hundred and fifty girls.